Today I am excited to welcome author Jody Kihara to The Cover Contessa. I'm an author of young adult and mid-grade novels. 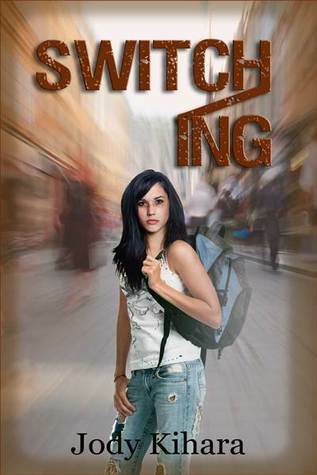 My latest YA novel, Switching, has just been released and there is a giveaway running until November 16th on my Facebook page. You can check out my website and preview my books. I'd also love to chat with you on Facebook...I'm an avid reader and NEVER tire of discussing books. Every week or two, Terry wakes up in a different time. She’s been ‘switching’ ― that’s her word for time traveling ― for the past eight months, and she has no recollection of her life before then. 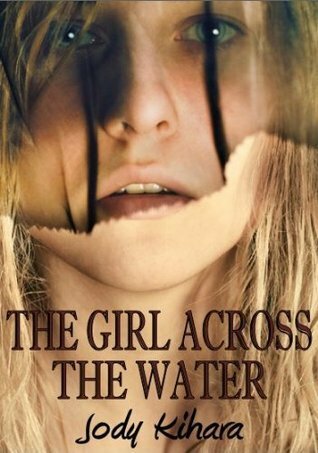 She doesn’t know who she is, why she’s time traveling, how to get home, or even when home is. Then Terry meets some fellow travelers, and finds out she’s not alone, and that there might be a way to get home. But the others have their own agendas, and Terry needs to be careful where she places her trust. She finds herself falling for one traveler, but a terrible secret bars his way home. Another traveler is growing desperate, and he doesn’t care who he uses in his attempt to get home… even if it puts them all in danger. Can Terry find a way home before he tries something dangerous? Or will he prevent her from getting home at all? And now Jody has graciously answered my many questions! Let's hear what she has to say! As soon as I could read! I loved books so much that right away I was like, I want to do this! I didn’t start getting really about my writing until about 8 years ago, though. In that time I’ve written about nine and a half books, six of which I’ve published. It varies a lot; it’s a function of how much available writing time I have. When I was ‘between jobs’ for a few months and could write full time, I finished one novel in five weeks! But if I have to fit it into weekends, then that time stretches out… and out! And that’s just the WRITING… I’m pretty quick with first drafts, but the editing process takes MUCH longer. Character. You need a great plot too, but to me, plot is really a function of the character’s choices. What makes even a very plot-driven book stand out for me is a fantastic main character. You mean the writing work schedule, or my other work schedule? LOL. I don’t have the luxury of writing full time, as I work a full-time day job… so it’s a challenge trying to fit the writing in, not to mention the editing, publishing, and promoting! I try to keep my weekends clear so that I can write solidly for two days… but unfortunately that doesn’t always happen. I write best when I can build up momentum, rather than working in fits and starts, so a full day to write is a wonderful thing! For me, the balance is WORK and writing… see above! My dream is for one (or more!) of my books to really take off so that they start paying the bills and I can write full time. In my hallway between the bathroom and my living room. I think it’s a horcrux spot or something. No seriously… I’ve been hit with two brainwaves when I was standing right there, so I’m thinking of charging admission for other people to go stand in that spot. LOL! Magical brainwave spots aside, I bring a lot of my own experiences into my books. No, I’ve never been haunted by a witch, crossed Arabia with a camel caravan, or time travelled… but for the more ‘real’ elements in my books, like fights with siblings, hiding a secret from people you know, wanting to leave home and spread your wings… those all come from my life. For example, in my latest novel, SWITCHING, Terry has to stay in homeless shelters… I volunteered at one once, and that was such an eye-opener, that had to make it into one of my books! So all kinds of things will filter into the story from my experiences. And then for historical fiction… research, research, research! The internet is a writer’s best friend. When I was in school, they “taught” us writing to some degree, but often the teachers didn’t know all that much about writing… and they never even mentioned editing! So learning to edit was the big wake-up call… it was surprising to learn how much time that takes! I’ve written about nine and a half books, plus some little start/stop pieces that may or may not grow into books. My favorite… hmm, that’s a tricky question. It’s usually whichever one is the latest (in this case, Switching) but The Frankincense Trail will always be up there too, because I put so much into that book. I even made a video trailer for it! Sometimes minor characters are, but my main characters tend to arrive in my brain fully-formed. Because I’m so into characters, they really stay with me for a long time. I’ll find myself in a store looking at a piece of clothing and thinking, “Oh, Terry would totally wear that!” …and then wondering if I’m going crazy or if other authors do that, too! Any place quiet, with endless caffeinated beverages! Home is best for that. I’m not a coffee-shop writer because the noise would drive me nuts; I need to fully concentrate. Traditional publishing = very hard. I tried for a long time to get an agent or publisher, and had several ‘bites’ but no deal. Eventually I stopped trying because traditional publishing was going through a lot of upheaval, so it was getting even harder… and I’d never liked the way the business model worked, anyway. It seemed like the authors were treated like they were the BOTTOM of the food chain instead of the top, which is totally bass-ackwards. I had several author friends who’d been treated pretty badly by agents, publishers, etc. So I decided to embrace indie publishing… and I LOVE it! My writer friends are incredibly supportive. I know so many indie authors, and we all help each other out, even if it’s just moral support, and it’s WONDERFUL to be part of such a supportive community. I live in a very beautiful city (Vancouver) where there are beaches and trails through the woods, so walking is always great. And I love dancing, too! and their craft? If so, what are they? 1. BRUSH UP ON YOUR GRAMMAR. I do editing for other writers, and you would not believe the grammatical mistakes I see! Take a grammar course or get a good grammar reference book (and actually read it) – or both! 2. Start getting your work critiqued, and critique other people’s work; you’ll learn about your own writing from both. There’s a fantastic website www.critiquecircle.com where you can post your work and receive critiques. That was where I cut my editing teeth; I spent a few years on that site and it really paid off! 3. As other authors in this interview series have mentioned, don’t be in a hurry to publish. People say it takes YEARS to perfect your craft; I’d say it takes years just to IMPROVE it! Perfection would be a lifetime goal. Learn to revise, edit, rewrite… most people are in such a hurry to publish that they’re putting out writing that has NOT been worked on enough. It takes a lot of time, a lot of patience. 4. There are LOTS of great books on writing and editing, so avail yourself of those! Go to your local library, and if they don’t have the ones you want, see if they can order them in (inter-library loans are a fabulous thing). The one I recommend starting with is Beginnings, Middles, and Endings. But there are hundreds of good ones; read at least ten of them! 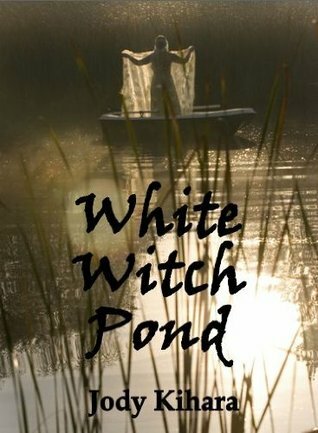 My current fave author is Alan Bradley (the Flavia DeLuce series) – his writing is so exceptionally good! From his wonderfully believable characters right down to his sentence construction and word choice. I simply sigh with happiness when I read his books. In the YA realm, I love Suzanne Collins, Shannon Hale, Eva Ibbotson, Helen Dunmore… so many! Make sure your material is as good as it possibly can be before you send it out for any kind of submission (agent, publisher, or self-publishing). 1. After you write your first draft, revise it. 2. Then let it languish on your hard drive for THREE months – no peeking! 3. Pull it out, re-read, and revise it again. 4. Then send it out to critiquers. Writer friends are good for this, but anonymous critiquing can be great too, as your critiquers are less afraid of offending you (as I mentioned, I love Critique Circle for this). 5. Once you’ve got all your critiques back, read them over and have a think. Don’t do anything yet, and don’t react to anything that was uncomfortable to hear… just think, mull, ponder. 6. Then weigh up which of the ideas you like and which you don’t… and now it’s time for your third (yes, third!) set of revisions. Some authors even repeat the critique process a couple times. 7. Once the book finally feels finished, get someone else to proofread it. This is a really important step, because it’s impossible to proofread your own work; at this point, you know the story so well, you won’t spot the small mistakes. And you don’t want all that previous work to be marred by a bunch of typos! SWITCHING is being released this month, so I’ll be doing a bunch of promotional work. That will probably keep me busy right up to the end of this year… so it’ll probably be 2013 (eek!) before I can tackle one anything new. If you’d like to enter the giveaway for SWITCHING, head on over to my Facebook page, www.facebook.com/jodykiharabooks. And you can read more about my other books at www.jodykihara.com. You're welcome and thank you, Jody, for coming by! It's been fun having you here! Good luck in the future with your publications. We look forward to hearing all about them! 'Plot is a function of the character's choices,' I like that! So very true. Or at least a good plot should be! This is my first introduction to Jody's books and I like what I see. I love how those ideas just "hit." And I love your comment on character and plot. Thank you for a fascinating interview.